Many people who are missing a single tooth choose not to replace it — but that is a big mistake! A small gap in your grin may not seem like a big deal. After all, you can still eat comfortably, and you might not be too concerned about aesthetics. Down the road, however, that little empty space can turn into a huge problem. The teeth around the gap may begin to drift out of place, leading to painful misalignment and TMJ problems. The bone that once supported the missing tooth will also begin to deteriorate. Eventually, you may even suffer further tooth loss. Fortunately, modern dentistry offers a few ways to recomplete your smile. A fixed bridge, sometimes called a crown and bridge, is a custom-made dental prosthesis. It typically consists of two crowns, which get placed over the teeth that are adjacent to the empty space. The crowns support an artificial tooth between them. Many patients choose to replace a tooth with a fixed bridge because the process is relatively quick (it only takes two dental visits), and the final result is aesthetically pleasing and sturdy. A bridge can restore full dental function and prevent the remaining natural teeth from drifting out of place. 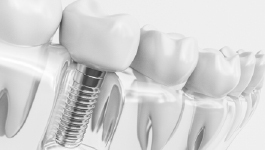 A single dental implant is a small cylinder, typically made of titanium, that gets placed beneath the gum line in a minimally invasive surgery. The soft tissue around the insertion site heals fairly quickly, but it may take a few months before the bone recovers. Throughout those months, something amazing happens; the bone actually fuses to the dental implant, enabling it to act as an incredibly strong replacement for the root of a missing tooth. When the implant is ready, Dr. Schumacher places a beautiful, natural-looking crown on top of it to replace the visible portion of the missing tooth. An implant preserves the bone. The bond that an implant forms with the jaw helps to prevent the bone from deteriorating. An implant preserves healthy dentition. Placing a fixed bridge requires that will file down the abutment teeth (the teeth next to the gap). That step isn’t necessary with a dental implant, allowing you to keep your natural teeth as healthy and whole as possible. An implant lasts longer. A fixed bridge may last for 10 – 15 years, but an implant has the potential to last for three decades or longer. An implant feels more like a natural tooth. Once your procedure is finished, you might even forget that you have an implant! Is it finally time to fill in the empty space in your mouth? Dr. Rob Schumacher is an expert in restorative dentistry. 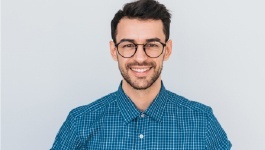 He would be pleased to help you replace your missing tooth so you can prevent future problems and enjoy a beautiful, healthy smile for many years to come. Contact us today to schedule your consultation.